Gregg L. Semenza, professor of pediatrics in the School of Medicine, and Jane I. Guyer, professor and acting chair of Anthropology in the Krieger School of Arts and Sciences, have been elected members of the National Academy of Sciences for their excellence in original scientific research. Membership in the NAS is one of the highest honors given to a scientist or engineer in the United States. Semenza and Guyer will be inducted into the academy in April 2009 during the organization's 146th annual meeting in Washington, D.C. The election of Semenza and Guyer, along with 70 others, brings the number of Johns Hopkins faculty in NAS to 21. There are currently just over 2,000 active NAS members, nearly 200 of whom have won the Nobel Prize. Among the academy's renowned members have been Albert Einstein, Robert Oppenheimer, Thomas Edison, Orville Wright and Alexander Graham Bell. One of today's pre-eminent researchers on the molecular mechanisms of oxygen regulation, Semenza has led the field in uncovering how cells adapt to changing oxygen levels. He has identified and studied the HIF-1 (hypoxia-inducible factor 1) protein, which controls genes in response to changes in oxygen availability. HIF-1 controls genes involved in adaptation to low oxygen--those that control energy manufacture, generation of new red blood cells and the growth of new blood vessels. He currently is studying the role of HIF-1 in cancer, ischemia and chronic lung disease, the most common causes of mortality in the U.S. population. Semenza received his medical degree and doctorate from the University of Pennsylvania and did his residency in pediatrics at Duke University Medical Center. At Johns Hopkins, where he did his postdoctoral research in medical genetics, he is a member of the McKusick-Nathans Institute of Genetic Medicine and director of the Vascular Biology program in the Institute for Cell Engineering. On the faculty since 1990, he has authored more than 100 research articles and a number of book chapters and sits on the editorial boards of several scientific publications. 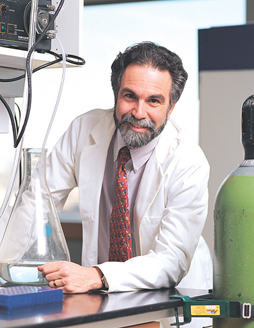 Among the honors he has received are the E. Mead Johnson Award for Research in Pediatrics, the Children's Brain Tumor Foundation's Jean and Nicholas Leone Award, the American Heart Association Established Investigator Award and the Lucille P. Markey Scholar Award in Biomedical Science. He was recently elected to the Association of American Physicians. "Dr. Semenza's groundbreaking discovery of the hypoxia-inducible factor has started an entire new field of research and helped put Johns Hopkins on the academic map nationally and internationally," said Chi V. Dang, vice dean for research at the School of Medicine. "His outstanding service to the Hopkins community--his involvement with multiple training programs, teaching several courses each year and participation in several committees--is a draw for talented graduate students, fellows and faculty. We are thrilled that his work has been recognized with this rare honor." Jane Guyer earned her doctorate in anthropology from the University of Rochester and her bachelor's degree in sociology from the London School of Economics and Political Science. She joined the Johns Hopkins faculty in 2002 as a professor in the Department of Anthropology, and in 2007 added a secondary appointment in History. Before coming to Johns Hopkins, she was director of the Program of African Studies at Northwestern University, and also served on the faculties of Harvard University and Boston University. Guyer's research has focused on material life, with major emphasis on issues related to food, oil and money. Most recently, Guyer has been studying the China-India-Africa-Brazil axis of global trade in small consumer items, but she has devoted her entire career up to now to economic transformations in West Africa, particularly the productive economy, the division of labor and the management of money. Guyer's most recent book, Marginal Gains: Monetary Transactions in Atlantic Africa (2004), re- examines the anthropological and historical record on monetary transactions in Atlantic Africa. The author of numerous research articles and editor of many collected works, Guyer also serves on several national and international committees, including the International Advisory Group to the World Bank and the governments of Chad and Cameroon on the Chad-Cameroon Petroleum Development and Pipeline Project and the board of directors of the African Studies Association. 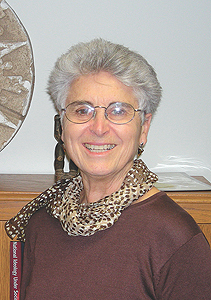 "Professor Guyer has enriched the School of Arts and Sciences immensely by her presence, through her extraordinary scholarship and her broader contributions to our academic community--her mentorship of graduate students, her leadership of the Department of Anthropology, her wisdom on our Academic Council," said Adam F. Falk, the James B. Knapp Dean of the Krieger School. "I am immensely pleased to see her honored by election to the National Academy, both because she is personally so deserving and because it represents a recognition and appreciation for her field of inquiry, one that is ever more critically relevant in our world." The National Academy of Sciences is a private, nonprofit honorific society of distinguished scholars engaged in scientific and engineering research, dedicated to the furthering of science and technology and to their use for the general welfare. Established in 1863, the academy has served to "investigate, examine, experiment and report upon any subject of science or art" whenever called upon to do so by any department of the government. GO TO MAY 5, 2008 TABLE OF CONTENTS.